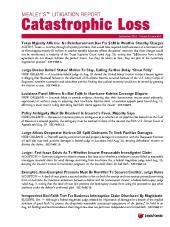 Twice-monthly newsletter on class-action litigation. 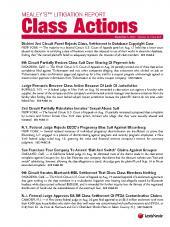 Mealey's Litigation Report: Class Actions provides in-depth coverage of class-action litigation, including consumer law, employment law, securities litigation and tech-related disputes. Get the latest on the Class Action Fairness Act (CAFA), jurisdictional disputes, class definitions, class certification challenges, new complaints, rulings, settlements, trials, verdicts, appeals and more. 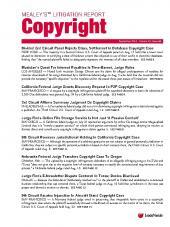 The Report features unbiased news stories, case summaries, attorney listings and the full text of court documents. Subscribers also receive expert commentary articles. 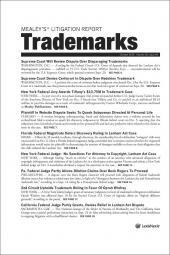 Subscribers enjoy comprehensive state and federal trial and appellate courts coverage from start to finish, including pleadings, opinions, jury verdicts, settlements and more. Published twice monthly.